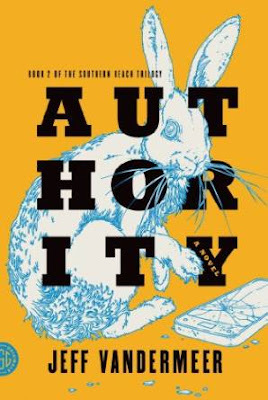 The novel Authorityby Jeff VanderMeer is the second book of the Southern Reach Trilogy. My commentary on the first of the series, Annihilation, is here. This novel does not work as standalone work, as it presupposes that the reader is familiar with the events of Annihilation. As an artistic and unique example of speculative fiction that is part of a larger whole, it is a very worthwhile sequel. I will be moving ahead to read the third and final book in the trilogy, Acceptance,right away.